Toros has, indeed, written a very good article, as recommended by our anonymous expert. I also recommend Clifton Ross | The Bolivarian God That Failed – Quillette, but there is a deeper question that should be asked. Why would a journalist not tell the truth? Why is there even a question? My assumption is that there is an agenda by a journalist, perhaps many, but it must be embraced by the editors, publishers, and owners for this bias to survive. Therefore, how widespread is this bias? To whom are they responsible? Who ensures journalistic integrity, professionalism, and standards? The deluge of propaganda and nonsense from Muscovy continues, while the stand-off in Caracas persists. Tankers full of Venezuelan crude queue up in the Gulf. Concerns the Chavista militias may go on a rampage. More nations recognize Guaido as the legitimate president. 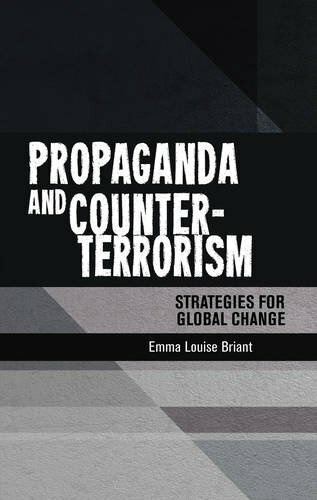 Most interesting analysis essay is by Toro – pointing out how Western media become complicit in promoting bad regimes by broadcasting their propaganda and deceptions without any thought or qualification. Pity the guiltiest in this camp will not read his essay. BISHKEK (Sputnik) – Venezuelans should decide how to settle the crisis in their country on their own, Kremlin spokesman Dmitry Peskov said Monday. CARACAS (Sputnik) – Venezuelan government is willing to hear the opinion of the country’s population on the issue of holding snap parliamentary elections, Venezuelan Vice President Delcy Rodriguez said on Sunday. PARIS (Sputnik) – European Affairs Minister Nathalie Loiseau said on Sunday that France will recognize Juan Guaido, the head of the Venezuelan National Assembly who proclaimed himself Venezuelan interim president on January 23, as the country’s president if the election is not announced until Sunday evening. The Kremlin says that moves by some major European countries to recognize Venezuelan opposition leader Juan Guaido as interim president amounts to foreign meddling and that Venezuelans, not foreign forces, should resolve their own domestic political issues. RUSSIA raged against the UK and its allies’ decision to recognise self-proclaimed Venezuelan President Juan Guaido as the legitimate interim leader of the South American country, arguing European nations should think about their own political issues rather than meddling in foreign politics. IRAN has accused Donald Trump of seeking world control in a scathing attack which denounced the United States for its attempts to oust the Islamic Republic’s ally, Venezuelan President Nicolas Maduro. Colombia media on Sunday reported Venezuela had mobilized forces to the country’s Eastern border fears a foreign military intervention. Some source reported that Caracas deployed more troops to Colombia border and steps up armored deployment to “guarantee law and order” amid an ongoing crisis. On 4 February, the Twitter account of ELINT News posted a video of what appears to be Venezuela’s army BTR-82s and military trucks with soldiers driving through San Antonio del Táchira near the Colombian border. A source in Caracas said that Maduro feared that U.S. troops be withdrawn from Afghanistan and Syria, they could be well-suited for redeployment in a Colombia-based conflict with Venezuela. As pressure builds on Nicolas Maduro to vacate his office, Venezuela’s actual president Juan Guaido faces growing physical threats from the so-called “colectivos,” a thuggish force that has long acted as an enforcer for Maduro’s regime. As pressure builds on Nicolas Maduro to vacate his office, Venezuela’s actual president Juan Guaido faces growing physical threats from the so-called “colectivos,” a thuggish force that has long acted as an enforcer for Maduro’s regime. The colectivos are organized militias that use criminal extortion and other mafia-esque activities to enrich themselves. Blessed with Maduro’s support and a free rein from law enforcement, the colectivos have pledged themselves to defending Maduro’s rule at all costs. That takes us to the growing threat against Guaido. Because while Guaido is threatened by Maduro’s intelligence services and military, those elements fear U.S. retaliation if they act against Guaido. U.S. national security adviser John Bolton has warned that any attack on Guaido would lead to serious U.S. reprisals — a perceived threat of U.S. military intervention. The colectivos, on the other hand, offer Maduro an alternative means of deniable action. Would they follow an order to attack Guaido? Yes. As the BBC notes, the colectivos see themselves as the heirs of the great Latin American revolutionary, Simon Bolivar. Vested with Bolivar’s ideological dedication to total war in defense of the revolution, they view Guadio as a stain to be eradicated. And as Guaido continues paring back Maduro’s power by undercutting his support bases, Maduro is more likely to unleash the colectivos against him. Remember, here, that Maduro’s mental state is questionable. He may act in irrational ways. President Trump or a senior official such as John Bolton should clarify the situation for Maduro and the colectivos. Venezuelan crude exports are declining sharply as new U.S. sanctions push the country’s oil industry closer to collapse, threatening a bigger impact on global markets than many experts anticipated, people familiar with the matter say. Ukraine has recognized head of the Venezuelan National Assembly Juan Guaido as the leader of the only one democratically elected public authority in Venezuela and believes that he will be able to organize the democratic elections in the country. — Ukrinform. Venezuela’s President Nicolas Maduro has warned US President Donald Trump that he risks staining “his hands with blood” should he pursue military action in the crisis-hit South American nation. The young lawmaker Juan Guaidó, in perpetual motion as he fields calls from world leaders and visits ordinary Venezuelans, sees a clear, if daunting, path to ousting Nicolás Maduro. CARACAS, Venezuela (AP) — Venezuela’s opposition leader called on more members of the military to abandon the country’s socialist government following the defection of a high-ranking general, while President Nicolas Maduro proposed holding early National Assembly elections that could potentially oust his challenger. Maduro’s call for early legislative voting is likely to intensify his standoff with rival Juan Guaido, who heads the opposition-controlled National Assembly and is demanding a new presidential election. Guaido declared himself Venezuela’s legitimate ruler on Jan. 23, and has the support of Washington and most South American nations. CARACAS, Venezuela (AP) — Opposition leader Juan Guaido’s calls for Venezuelans to abandon Nicolas Maduro’s government are booming across the world outside, but the self-declared interim president is having a harder time delivering his message at home. Watchdog groups in Venezuela and abroad say Guaido’s efforts to reach citizens via the internet have been hindered by the dominant provider — state-run CANTV — in a country where critical newspapers and broadcast media already have been muzzled. Donald Trump has said sending troops to crisis-hit Venezuela is “an option” as western nations increase pressure on socialist leader Nicolas Maduro to hand power over to self-proclaimed president Juan Guaido. A raft of European nations recognized Venezuela’s opposition leader as the country’s interim president, piling western pressure on authoritarian incumbent Nicolás Maduro as the EU continued to push for fresh presidential elections to end the political crisis. France will recognise Juan Guaido as interim president if Maduro doesn’t call for presidential elections by Sunday night. The beleaguered Venezuelan President Nicolás Maduro refused to call new elections in response to demands from several European countries. Gold is fast becoming indispensable to those clinging onto power in crisis-stricken Venezuela. The issue is Maduro doesn’t live in reality, where he’s despised around the world and opposed by 80% of his own people. Turkey’s foreign minister said on Sunday countries which have recognized Venezuela’s self-proclaimed interim president Juan Guaido were fueling Venezuela’s troubles and punishing millions of its people. Stigmatizing its opponents as American stooges is the last line of rhetorical defense available to a regime that has crossed every red line imaginable — it has artlessly rigged elections, stripped the elected legislature of all its powers, imprisoned its opponents, run torture chambers and set up death squads. The regime doesn’t have very many good lines it can use to rally its left-wing sympathizers abroad. The one line it can always fall back on, no matter how bad things get, is the U.S.-backed coup line. Venezuelans may, by now, be deeply inured to the Maduro regime’s propaganda lines. Americans, for their part, need to play catch-up. Venezuelans long ago caught on that when you parrot the regime’s propaganda lines, you do the dictator’s work for him. America’s dark history in the region has nothing to do with the reason these lines are being trotted out today. And so, when you find yourself about to repeat a line conceived by the Venezuelan dictatorship to help keep itself in power, just stop a second and realize what’s actually happening. You are on the verge of turning yourself into an ally of Maduro’s torturers, of his death squads, of the people who have looted Venezuela and forced millions to flee for their lives. When you parrot Maduro’s propaganda, you become Maduro’s ally. Don’t. Recognizing Guaidó as the President is a bold strategy, but the United States will need to untangle the networks of criminality and corruption propping up Maduro.